Approximately 45 million Americans suffer from headaches each year. That means that 1 in every 6 people is left trying to find a solution to headaches that interfere with their daily lives. The first instinct, for many, is to turn to over the counter painkillers. With no other solution that they are aware of, painkillers become a regular staple in their lives, however this is a dangerous dependency! Long-term use of painkillers has been shown to cause damage to the liver, even resulting in liver failure. Aware of the potential risks, Americans are on the search for a natural alternative to bring them headache relief. Acupressure is an alternative medicine technique based on the concept of life energy, and the way in which it flows through the body. Physical pressure is applied, by hand or various devices, to key points in the body with the aim of clearing up blockages in the flow of this energy. It has been shown to be effective in treating nausea, vomiting, lower back pain, stomach aches, and – you guessed it – headaches! Unlike some alternative medicine techniques, acupressure doesn’t require a medical professional. It can be done on your own, in the comfort of your own home. Find a comfortable place to sit, and then gently apply pressure to the correct acupressure points for approximately 30 seconds at a time. 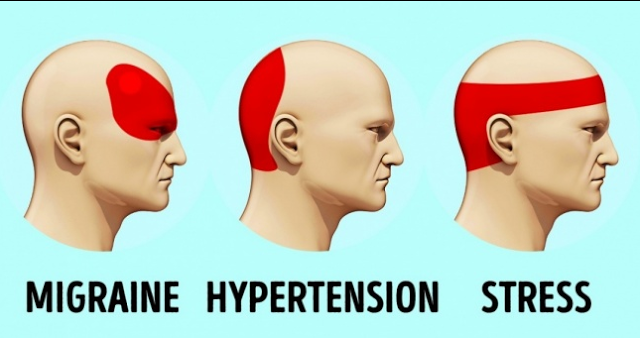 Use the below pressure points and you will begin to feel relief from your next headache in approximately 5 to 10 minutes. 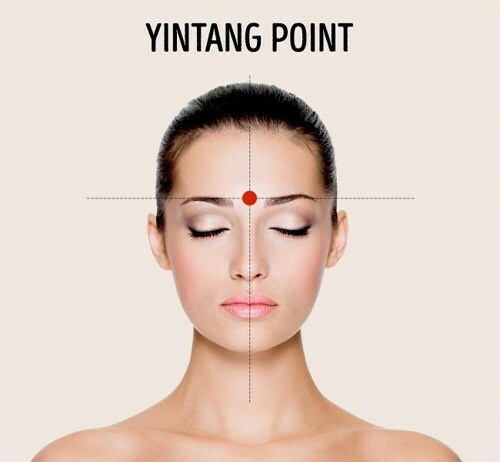 The Yintang Point is located between the eyebrows, in line with the bridge of the nose. Also referred to as the 0.33 eye factor, this pressure point can also provide relief for eye fatigue. The Zan Zhu Points are located at the base of the inner edge of the eyebrows, on each side of the bridge of the nose. This pressure point has also been found to treat nasal congestion and improve vision. Located upon the dimple under each cheekbone, the Yingziang Points can provide relief for stress, headaches and toothaches. 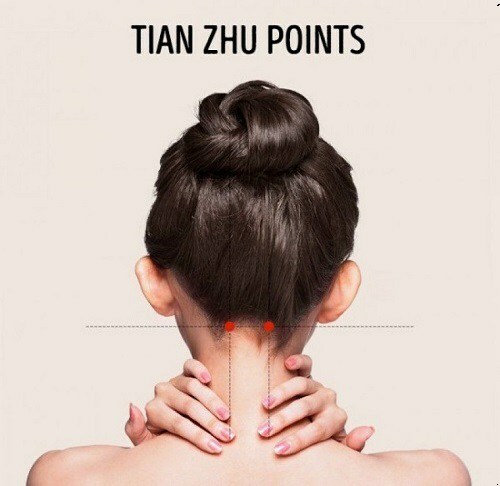 The Tian Zhu Points are located at the base of the spinal column, upon the back of the head. Massaging these points has been shown to relieve ear and eye pain, headaches, migraines and nasal congestion. 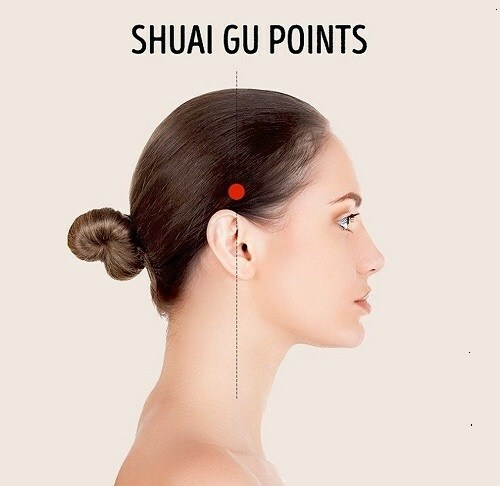 Located around the temples, approximately 2-3 cm from the start of the hairline, the Shuai Gu Points have been found to help treat eye fatigue. Next ArticleSoak Chia Seeds to Supercharge Metabolism, Weight Loss, and Inflammation Fighting Like Never Before!